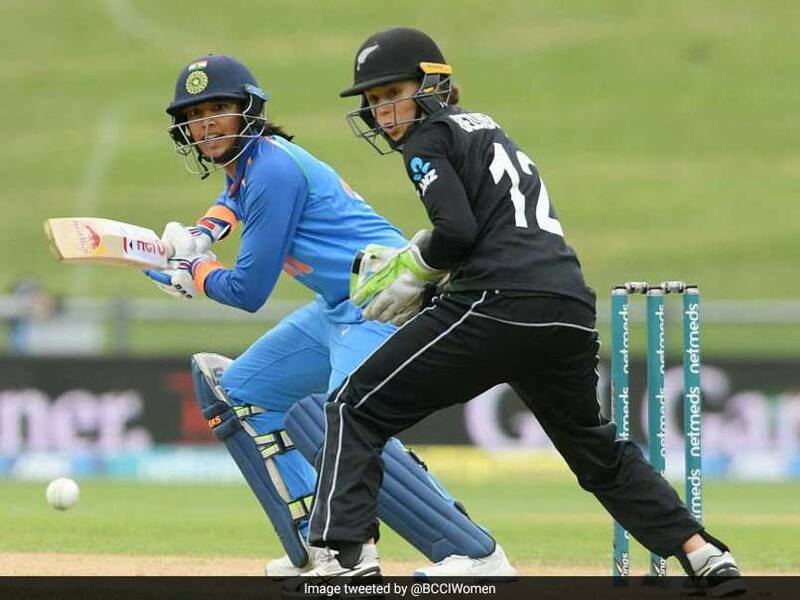 Just like their male counterparts, the Women in Blue kickstarted their tour of New Zealand with a clinical all-round effort at the McLean Park in Napier as they beat the White Ferns' by nine-wickets to take a 1-0 lead in the 3-match series. Like the New Zealand Men's team, spin proved to be the nemesis for the White Ferns', as the trio of Poonam Yadav, Ekta Bist and Deepti Sharma claimed eight wickets between them to bowl the hosts out for 192. The Women in Blue, then, rode on a record 190-run stand between Jemiamah Rodriques [81*] and Smriti Mandhana  to chase the target down with nine wickets and 17 overs to spare in India's first win of the round four of the ICC Championship. Having opted to bowl first, India had to wait for their first wicket as Suzie Bates  and Sophie Devine  put on 61 runs for the opening stand. The run-out of Devine started the collapse in motion as the hosts found themselves reeling at 3-70. Skipper Amy Satterthwaite and Amelia Kerr staged a recovery of sorts with a 49-run stand for the fourth wicket. However, Poonam Yadav landed a telling blow on the hosts as she nipped out the set-pair in an over. Yadav finished with three wickets; as did Bisht, while Deepti Sharma took 2-27 to restrict the White Ferns' for 192 in 48.4 overs. India started the chase in enterprising passion with Rodrigues  and Mandhana  putting on a record 190-run stand for the opening wicket. Rodrigues brought up her maiden ODI half-century while Mandhana, who recently won the ICC Women's Cricketer of the Year award, carried on her imperious form from 2018, to register her 9th 50-plus score in 13 innings since the start of 2018. Mandhana also became the second Women cricketer to register a three-figure score in each of the SENA countries after Claire Taylor. Kerr eventually ended Mandhana's outing, not before the stylish left-hander had set India on course to an emphatic nine-wicket win.